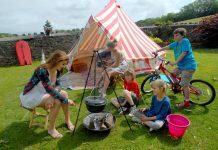 Home Camping For Kids How To Keep Your Kids Busy In Camping Ground? 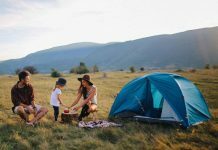 How To Keep Your Kids Busy In Camping Ground? 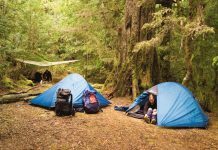 Many campers worry about camping with their kids. 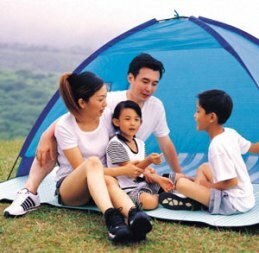 Camping is very interesting task, but camping with kids can make your camping very risky and tough. All kids are same, they love to explore everything and this act annoys many parents and makes the camping very hard. But, camping is a wonderful experience for kids. They get to know different experiences such as awareness of the surroundings, appreciating the wonderful nature and exploring different things in nature. But, making the kids busy in the camping is very different and sometimes very hard for parents too. Kids sometimes become hyper and sometimes cannot get along well with the camping atmosphere. Some times controlling the kids mentally and making them busy is very hard. Providing them with proper security is also very hard as they cannot be controlled easily. 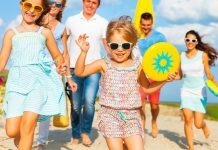 But, by following certain tips on security and arranging different games for the kids, you can make them to crave the benefits of camping. You are traveling with kids, mistakes are common. So, be sure that you will be able to correct the mistakes. 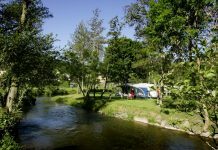 Follow the check list according to the different camping ground requirements and see that you do not miss any required items. Always pack the required food for the journey, which will be enough for you to reach the camping ground. Bring enough water required at the camping site. If you cannot bring required water, at least see that you get a water purifier which will be able to supply pure water. Give your children a whistle and make them learn codes, which will inform you that they are in danger. Do not teach them different codes and confuse them, just teach codes to make you alert that they are in danger. Always be with your children and never let them be alone. Kids love to explore and love to explore alone. So, intimate your children about the safety measures that they should not leave the camping ground without any elderly support. Try different stories: Make children busy with different stories and tell the stories that have some moral in them. This is an ancestor method of teaching children different aspects of life. By teaching stories in the camping, you are developing a natural way of learning morals of life and making the children away from boredom. By keeping the minds of the children busy with different stories, you are developing creativity in them and providing entertainment and fun to them. Observe nature: Observing nature from near and developing proper respect towards the nature and its beings is a great fun for children. You can make them learn how to be dedicated towards the different creatures of the world. Chilling in nature lap will be very energizing for you and children too. The sight of the wide sky and clouds is one of the ways to relax. This relaxing way will be very interesting for children and parents too. Make them learn to identify different shapes in the sky and this will surely keep the kids busy and head them away from the boredom.